Buying a new car is not a decision that you will make lightly. It requires much thought and preparation. First, you must decide if investing in a new vehicle is the right move for you. Maybe, the vehicle is no longer worth the extra time, energy, and resources for maintenance or maybe the car does not suit your needs anymore. Whatever the reason is, there is a lot to know about the car buying process before driving one off the lot. Before embarking in this process, any person would want to know if their current vehicle is a good investment or a lost cause. Therefore, we have provided a few useful tips on how to know when it is time for a new automobile. In addition, we will discuss the differences between buying used and new, list the necessary steps for buying a vehicle, and talk about purchasing a vehicle online. Lastly, you will find information on auto transport, in case you are buying an automobile out-of-state. Are you someone who is desperately holding on to their car, hoping to get more miles out of it? There is nothing wrong with driving your automobile for ten years or more, as long as it still functions as it should. However, when your car no longer performs to the best of its ability, it becomes a money trap for constant repairs. You may not be looking forward to a new car payment if your current vehicle is already paid off. 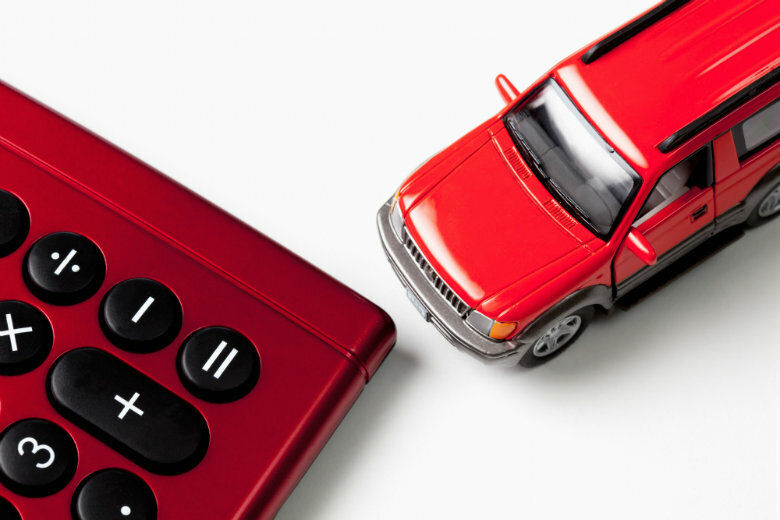 With reoccurring maintenance and repairs, a car payment may start to look appealing. 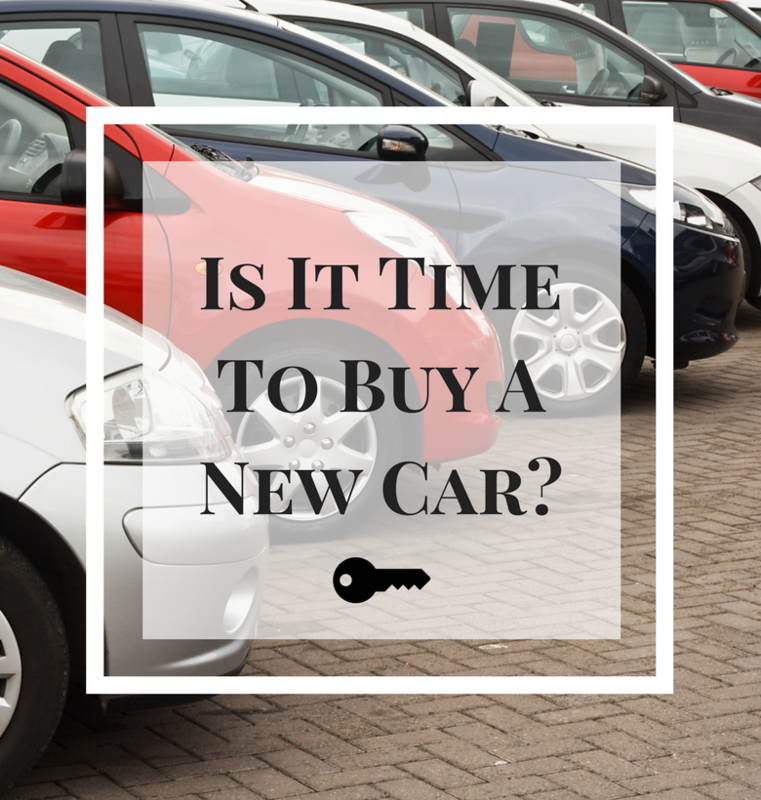 There are a number of reasons why it may be time to start looking for a new automobile. Safety is becoming an issue. If you fear that your vehicle may breakdown and leave you stranded, then it is an unreliable form of transportation. It is better to spend the extra money on replacing the vehicle with something safer than to constantly worry if your car is going to be able to get you to work or not. Repair costs are adding up. Repairing problem after problem can become costly and time-consuming. If it seems like your automobile is in constant need of a fix, it is time to start thinking about getting another vehicle. It no longer suits your needs. Lifestyle changes are a reason why many individuals choose to buy new cars. A person who is taking a job farther away from home will want to trade in that gas-guzzler for a more fuel-efficient vehicle. Similarly, that two-door sports car that you bought back in college no longer fulfills your needs with a growing family. There is no room for a car seat, so it may be time to trade in for a more family-friendly alternative. The interior/exterior of the vehicle is falling apart. Holes in the floor, leaks in the sunroof, ripped fabric, and knobs falling off the doors and windows are obvious signs of excessive wear and tear. If your friends and family are ashamed to be seen riding around town with you, it is time to get a new car. Fuel efficiency has decreased. Older cars are less fuel efficient. If you see yourself taking more trips to the gas pump, it is a clear sign that you are not getting as many MPG as you used to. These trips add up in costs, so consider upgrading to a newer model. Once you have finally decided to replace your vehicle, the next step in the car buying process is choosing New or Used. There are advantages and disadvantages to buying each. We will look at both sides, so that you can make a decision that best fits your needs. Pro: Manufacturer’s Warranty. Many new vehicles come with a manufacturer’s warranty of 3-years, 60,000 miles or a 10-year, 100,000 miles powertrain (engine and transmission) warranty. Pro: Latest Technology/Customization. Purchasing new means that you have the option to customize your automobile with all of the latest technology. This would include heated seats, backup assist, keyless entry and pushstart, WiFi hotspot, and many more. Pro: No concern over previous ownership. Buying a new vehicle right off the lot means that you are the only one that has driven it, with exception of on and off the truck. You are the first owner, so there is no need to worry about the condition of the vehicle before you bought it. Con: Depreciation. An automobile loses value as soon as you drive it off the lot. By the time you pay off the car loan, the car is going to be worth significantly less than what you bought it for due to depreciation. Con: Higher Costs. 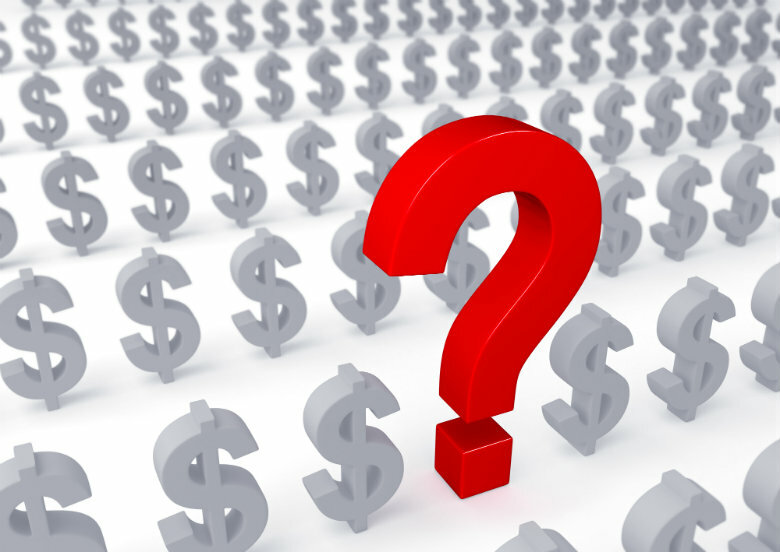 Obviously, a new vehicle is going to have a higher down payment and higher monthly payment. The insurance premium will also cost more, because the replacement cost of the vehicle is higher. Pro: Lower Costs. 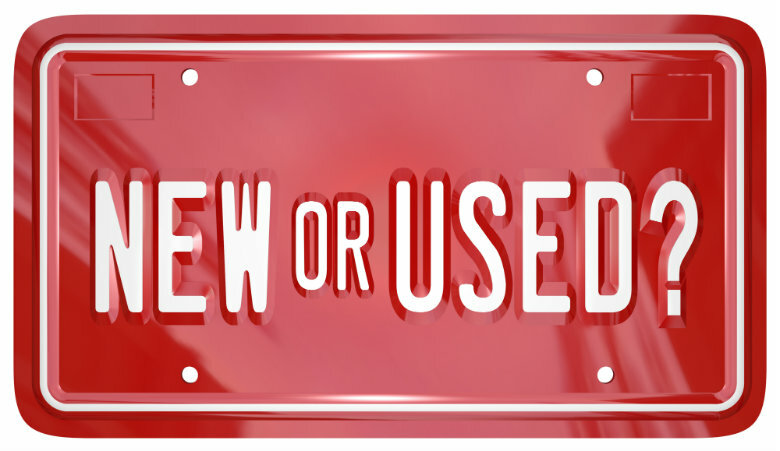 The cost of a used vehicle is all-around less expensive. It has a cheaper price tag, and it will cost less to insure. Pro: No Initial Depreciation. Since the automobile is not new, you will not take the initial loss in value like you would in buying new. However, purchasing a newer used vehicle will still depreciate in value over time. Con: Reliability Stigma. A used vehicle may have had many owners before you, and you do not know how the car was cared for while in their possession. This is why it is important to run a history report on the vehicle before purchasing. Con: Lack of Warranty. Although there are warranty options available for used cars, you may purchase a used vehicle without any warranty. Look at your budget. How much can you afford to spend? Take time to sit down and calculate numbers. If you are taking out a car loan, your car payment should be no more than twenty percent of your take-home income. Aim to pay less if you are on a tighter budget. 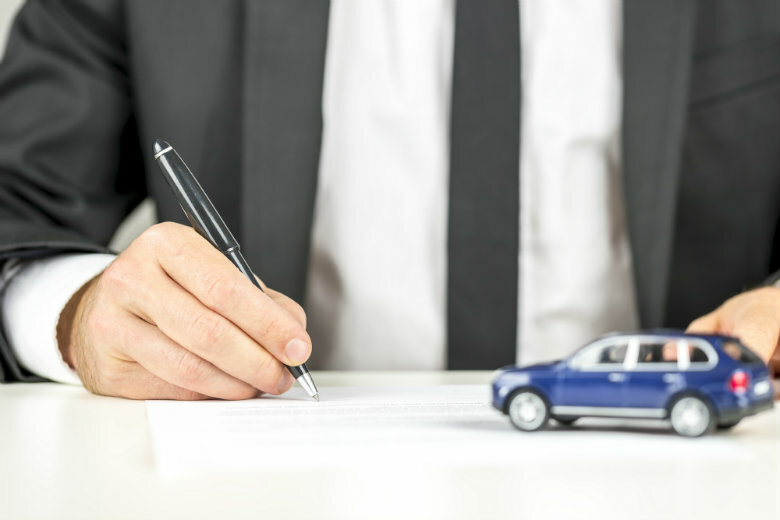 When trading in your vehicle, use sites, such as Kelly Blue Book and National Automobile Dealers Association (NADA) to show you what your car’s value is. When punching numbers, remember that purchasing a used car may require extra maintenance in comparison to buying new. Therefore, you should take this into consideration, and think about setting aside a spare fund. Research and build a list. Start by outlining the must-have features you cannot live without. If your current automobile no longer suits your needs, think about what your future vehicle needs to have to better fit your lifestyle. Consider more than one brand to leave your options open. Read reviews, and narrow down the choices to make a final decision. Check prices. After you have narrowed down the choices to one or two of your favorites, it is time to check prices. Research how much the average person pays for the cars in your area, so you do not overpay. TrueCar is one such site for looking up pricing on both new and used models. Used Cars – Vehicle History Report. 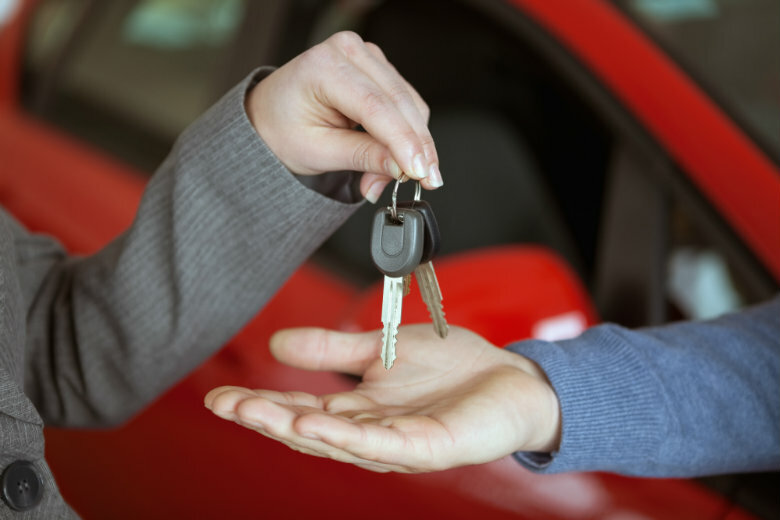 Unless you are buying an automobile from someone you know and trust, you should conduct a vehicle history report before purchasing a used car. This can save you money in the future. The report tells you if the vehicle was involved in any accidents or had any major repairs. CarFax and AutoCheck are two resources you can use to get this information. All that is typically required is either the VIN or license plate number of the car. Contact the Seller. Call the seller, and ask questions. They may mention something about the car that was not advertised. Set up an appointment to see and test-drive the vehicle. Take it for a spin. It may look good on paper, but you may have a different impression when you are sitting behind the wheel. Once you are ready to make a purchase, sign the necessary paperwork. Then, the automobile is yours to take home. 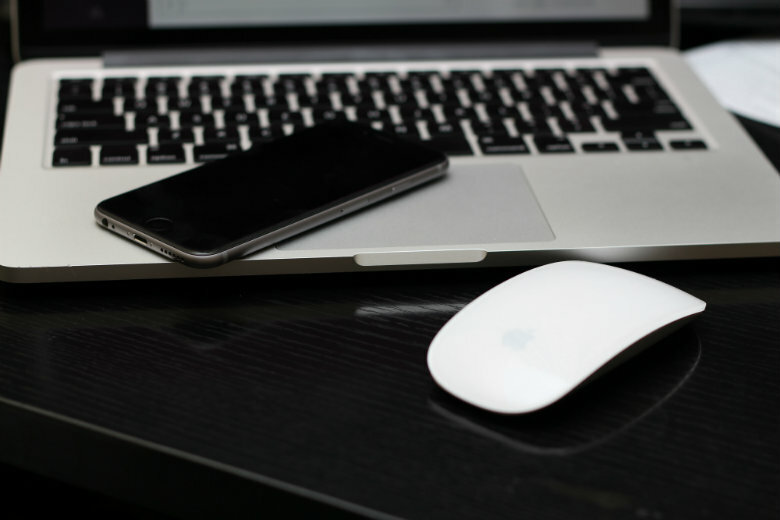 Today, several dealerships have online sales departments that assist website visitors with the online car buying process. The process for buying an automobile online is similar to purchasing a vehicle at a dealership. It is still important to budget, research, check prices, and obtain a vehicle history report. However, you can do all this from the comfort of your own home. Purchasing a car online means that you do not have to deal with pushy salespeople. It also means that you can expand your range of options outside of your local area. You can look at cars out-of-state that may be less expensive. This could save you money, even after you include the cost to ship the vehicle to you. A downside to buying online is that the processes of registration and car titles for out-of-state vehicle are a bit more complicated. Also, you may not be able to test-drive the car if it is not located within driving range. Verify the seller’s credibility. Review the seller’s website. Read reviews to ensure that it is someone that you would want to buy a car from. Get your questions answered. Many company’s have live chat options available, in which you can communicate with a representative. You can also communicate via email. Ask for additional information on the automobile, as well as photographs of the interior and exterior. Know the price. Ask the seller for a quote on the car you are interested in. Ask the company to list out all fees. This way you can budget and plan, accordingly. If the automobile you recently purchased is located a few states away, you may hire an auto transport company. Making an out-of-state purchase may have already been a better financial decision. Therefore, you have room in the budget to get the vehicle shipped to you. Hiring an auto transport company saves you time and energy. 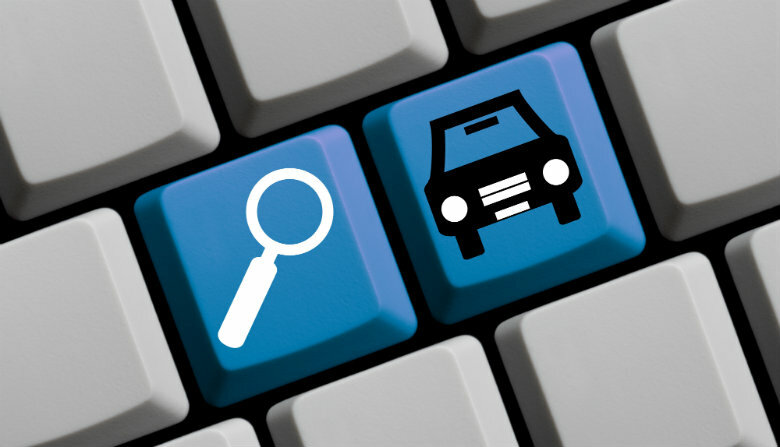 Whether you bought from an individual, dealership, or car auction website, the vehicle must get to you somehow. Why not get it shipped? National Dispatch is a top provider of auto transport services in the industry. We ship vehicles anywhere in the United States and provide many services to meet your needs. Our mission is to get our customer’s cars where they need to go in a safe and timely manner. Door-to-door transport. With door-to-door transport, we will ship the vehicle directly from the seller to you. All you have to do is sign for the car upon arrival. It is that simple. Open auto transport. Our open auto transport option is the most popular way to transport a vehicle. The car will be transported on an open-air carrier with up to eight other cars. Enclosed auto transport. If you are the owner of a luxury, exotic, or classic model, you may opt for enclosed auto transport. This option provides an extra shield of safety for vehicles with high-end paint jobs. The enclosed carrier protects the vehicle from a variety of weather and road conditions. 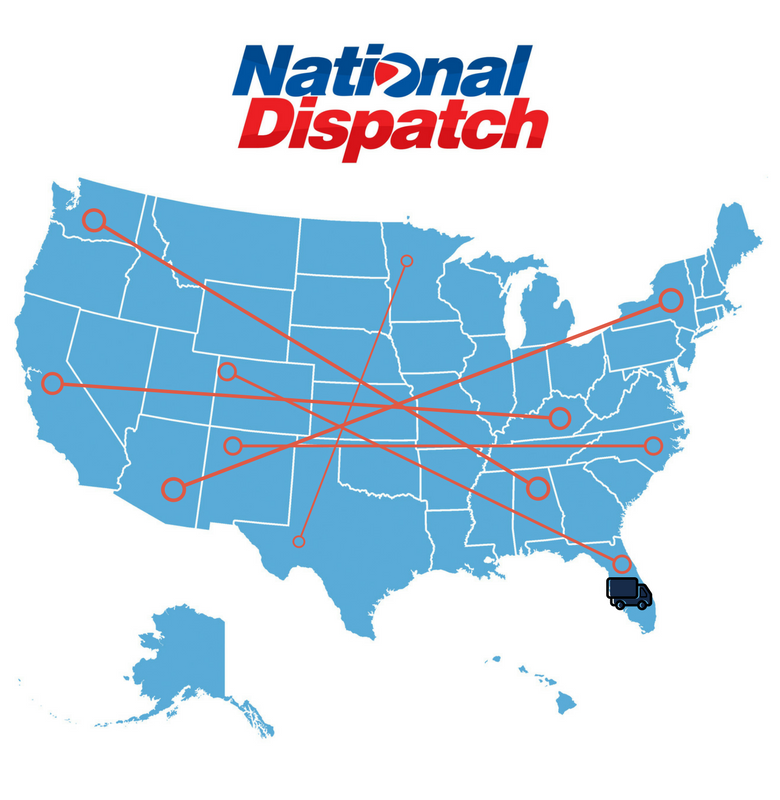 Go to our website at https://www.nationaldispatch.com/ for a full list of the services we offer. Getting a free, instant online car shipping quote is easy. Fill out our simple, online quote calculator on our website. It only requires four fields: vehicle make, vehicle model, pickup location, and delivery location. You will receive your quote in seconds without any personal information required. You can also call us 800-321-2051. We look forward to hearing from you!